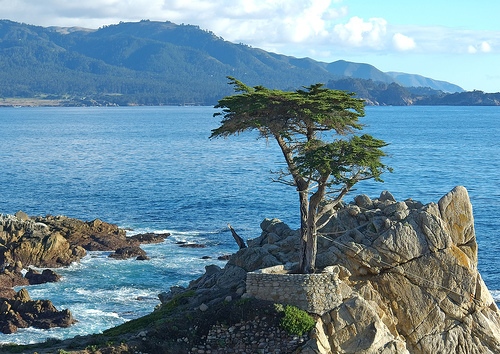 Pebble Beach Resorts has an interactive map of the 17 mile drive. They promise you “Nature’s treasures” which include black cormorants, brown pelicans, California sea otters, harbor seals, sea lions, and wildflowers. There are also a few “emerald fairways” such as The Links at Spanish Bay, Spyglass Hill and Pebble Beach Golf Links. Wikipedia does a nice job describing the drive and has useful information on costs ($9 per car, free for bikes and walkers, no motorcycles allowed).